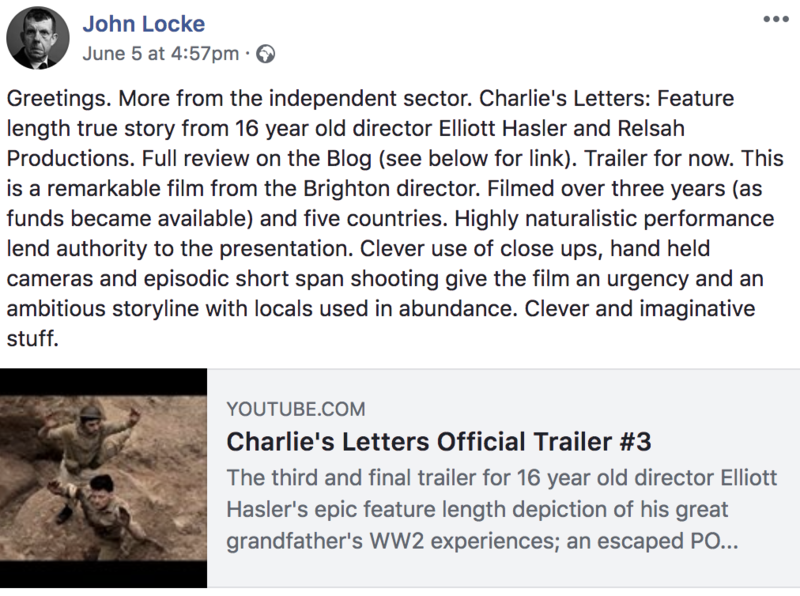 We’re excited to share a review of Charlie’s Letters from John Locke, an actor and director who played Oliver Wilson in the Oscar winning film Darkest Hour. John says, “An extraordinary achievement both in terms of location filming, accuracy of costume (Vicky Standing), props and vehicles. There is an earthy reality to the product a genuine and un-sanitised piece of storytelling that is always going to work as it is based on events and stories handed down to a family. Certainly there is “adventure” in the classic film tradition but this is not what drives the film or, ultimately, gives it its success. That comes from the story of one-man’s-war while struggling to get home, while his wife is shown experiencing all the conflicts of the woman left behind, raising a child, resisting predatory men, always wondering in a very every day way what has happened. Brilliantly, the home-coming itself is anti-climatic. One day, or less, of celebration then letters are put away in a tin and life goes on. Brutal in its truthful post-war portrayal. There is a final poignant scene which rounds off the art very nicely. 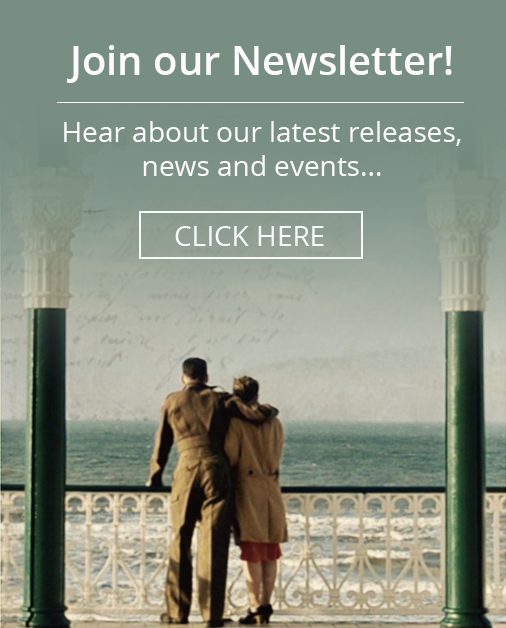 With thanks to John Locke for featuring us on his website – you can read the full feature here.